Hubs just loves pot roast. If we are at a restaurant and it is on the menu, he will order it. I always thought it was so complicated to make and would be dried out. This recipe is far from being complicated and the meat is moist and tender. 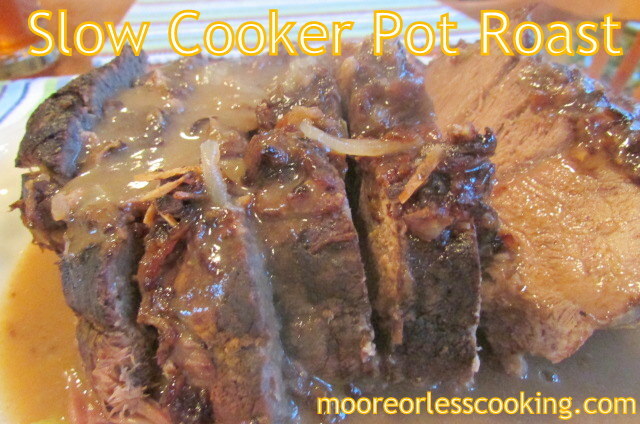 The great thing is you can use your slow cooker and set it and forget it. Just wait until your family walks through the door, your house smells so great! For this recipe you don’t want a very expensive cut of meat, let your slow cooker do all the work. Cooking it slowly breaks down the meat and makes it fall apart and juicy. I chose a Chuck Roast, it was on sale. But you can choose your favorite cut of meat. Add veggies in the last 1 1/2 hours of cooking the pot roast. Serve over mashed potatoes. 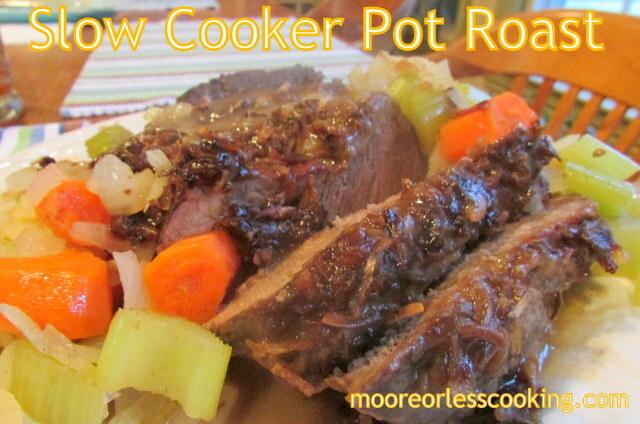 Place beef pot roast in slow cooker and sprinkle with Lipton onion soup mix and garlic.Pour water over pot roast. Cook on low 8 to 10 hrs or until tender. Add carrots and celery during the last 1 1/2 hours. Take out pot roast and veggies, serve on platter. Reserve juices. In a small saucepan, add two tablespoons butter, melt, add 1 tbsp flour, stir until golden brown. add juices from roast, stir until thick. Pour over pot roast. Serve hot. G’day! Love slow cooker recipes and this looks warm and welcoming! 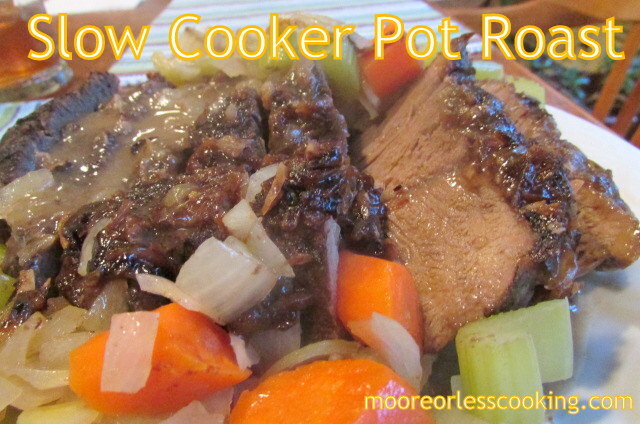 I need to use a slow cooker more! This looks great!